Filmed & Produced by NRC’s Creative leader of Campaigns, mr Claes Holmberg using SceneThere’s tool. This was a campaign aimed to show Norwegian schoolchildren what life is like in a Refugee camp. 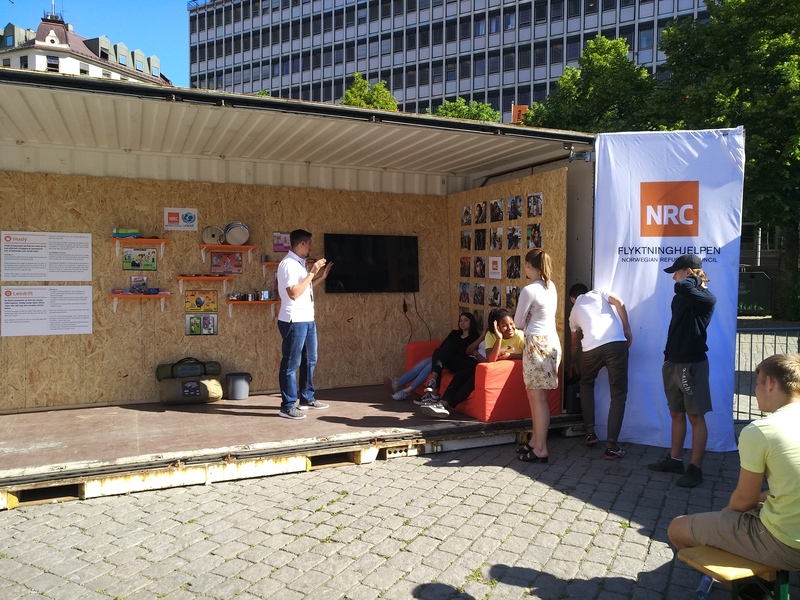 The campaign was shown at Yongstorget in Oslo Center in June, and was visited by 1500 Students. VR offers a unique way of teleporting an audience to hard-to-reach places, and offers a whole new way to tell stories beyond the limitation of the screen. While many think of VR as a tool for entertainment, we believe it can be so much more than a game in a made up world. We believe VR can be about exploring and understanding the real world, and meeting real people. We think of VR as a tool to raise public awareness, and as a unique opportunity to understand complicated social issues, create empathy and feel compassion. The collaboration with the Norwegian Refugee Council is one example of the deeper meaning and impact that we can transmit through virtual reality. 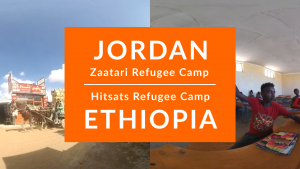 One of the challenges was to find a way to naturally combine two refugee camps situated in two different parts of the globe in the same virtual world. But given that the main event where these 360 videos would be showed we were able to make those 360 documentaries was an event situated in a central place of Oslo (Youngstorget), NRC was going to display those documentaries with twelve Samsung headset situated inside a container especially arranged for the occasion. To make that more real, we added an introduction that could give the possibility to visit the two camps without breaking the narrative line that NRC was excepting for this whole product. In short, the Norwegian Refugee Council gave us the stones that we had to shape and put together. This collaboration with the Norwegian Refugee Council has been very positive for both of us. 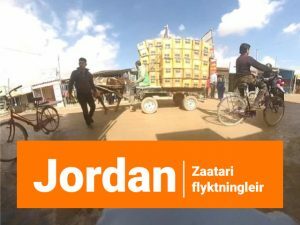 We have been growing with a new product and new features and our client have been able to use VR to reach the minds of 1500 young students, and likely been able to change their views on what life in a refugee camp is like for the rest of their lives. They are now suddenly able to relate to the stories they see in TV in a whole new way. Two version of the product have been made, one in English and the other one in Norwegian. This product is for them the starting point in a totally new strategy of communication. Imagine that in a very close future, volunteers for their NGO will stop you in the street and ask you to be transported into a refugee camp. You are suddenly in front of the poverty that those populations have to face everyday, once the documentary finished will you be able to refuse to help them? Virtual reality represents a new era in the domain of human empathy, at Scenethere we developed the tools and the expertise to make this emotional interaction possible. NRC’s experience is about to launch on Oculus Store in September 2018.